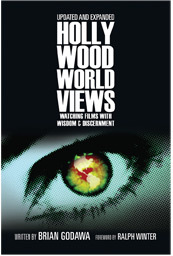 Then the Hollywood Worldviews Online Course is for you. 2 BONUS Powerpoint video lectures on popular worldviews in the movies: 1) Existentialism and 2) Postmodernism. PLUS a free ebook of Hollywood Worldviews. PLUS an MP3 Audiobook of Hollywood Worldviews! Click on the button below and you’ll be taken to the discounted page describing everything for 30% OFF! CLICK HERE to see everything you get, (FREE Introduction to the course). The Church and the Arts: Friends or Foes? You’ll get a free digital ebook of Brian Godawa’s book The Imagination of God. 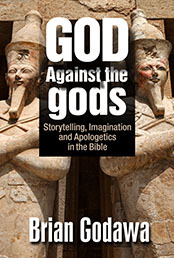 PLUS a free digital ebook of Brian Godawa’s books God Against the gods. PLUS a bonus MP3 Audiobook of each book! 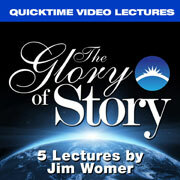 Brian teaches the basic elements of storytelling used in writing screenplays from a Christian worldview, complete with examples and analysis of movies that illustrate the lessons. 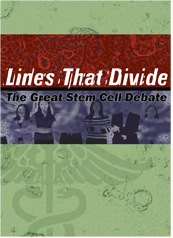 Comes with 30 pages of Student Handouts so you can follow along and take the class on tape! 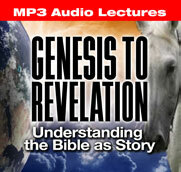 Discover the hidden treasures within the biblical “creation model” found in the book of Genesis. Decode the”seven days of creation” as an organic template for story structure. • You will learn how to organically generate dimensional back stories and characters from a simple logline. • Identify and address story problems in any stage of the writing process from outline to finished draft. • Identify characters that are out of balance with the story, why they are out of balance, and what must be done to realign them or omit them. • Identify the true motivations behind any character’s dialogue and actions. The Bible is not a textbook of systematic theology. It is a story, God’s story of how He saves His people. Genesis to Revelation: Understanding the Bible as Story is a 6-week class that provides a narrative approach to theology that will help you understand your own place as an actor in the unfolding drama of the Kingdom. You’ll take a rollercoaster ride through the ups and downs of the narrative of the entire Bible, exploring some of its exciting plot twists and how it ultimately relates to our lives. NOTE: A couple of the lectures had technical problems that caused some annoying sound problems, but all the lectures are entirely audible. Student Worksheet and additional reading material for each lecture included. Many Christians are afraid to attribute truth value to ancient books outside the canon of the Bible. They fear that somehow the authority of Scripture will be compromised or worse, other texts may be falsely considered as Scripture. The book of 1 Enoch is one of those controversial books that has a long history of squabbling over its veracity and influence on Bible interpretation. This talk will be an introduction to the ancient book of 1Enoch, its content, its history, its affirmation in the New Testament, and its acceptance and rejection by the Christian Church. Please Note: The quality of the video is standard DVD, not HD. Mr. Godawa explains how understanding the storyline of the Cosmic War of the Seed in the Bible changed his understanding of God’s Kingdom in this world. From seeing the Bible as a book of theological propositions to seeing it as a story of the battle of cosmic powers; Watchers, Nephilim, and the Divine Council of the Sons of God. 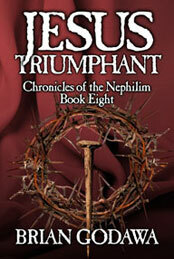 He examines i brief the Scriptural texts that inspired his best-selling Biblical novel series Chronicles of the Nephilim. This is a different approach to apologetics than the typical way that “proves” a generic theism, then “proves” the Bible, then “proves” the resurrection. 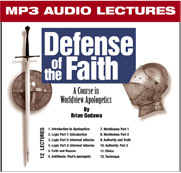 This series addresses the weaknesses of typical apologetics and explores how to defend the faith on a deeper level, the level of the worldview of the unbeliever. Get this cool movie poster design for the novel series Chronicles of the Nephilim. Frame it, put in on your wall. Start a conversation about this shocking controversial, Biblical fiction series that is a game-changer for Christian fiction. PLEASE NOTE: The purchase of posters uses a different shopping cart from the purchase of teaching audio and videos. Sorry for the inconvenience. Get this cool movie poster design for the novel series Chronicles of the Apocalypse. Frame it, put in on your wall. Start a conversation about this shocking controversial, Biblical fiction series that heralds a new era in End Times eschatology. 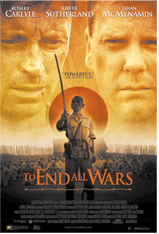 Get this LIMITED EDITION of the real movie poster for the award-winning movie To End All Wars, written by Brian Godawa. The movie that was heralded by World Magazine as the Chariots of Fire for our generation. Rome, A.D. 64. A Roman prefect and his Jewish servant are ordered by the emperor Nero to track down a secret Christian document that undermines the Roman empire and predicts the end of the world. But they’re not prepared for the spiritual warfare they’ve unleashed. The truth behind the origin of the most controversial book of the Bible: Revelation. A historical conspiracy thriller with angels and demons. Book 2 in the series. Asia, 66 A.D. Roman Severus, Jewish Alexander, and Christian Cassandra find their target of capture: the Apostle John. But when he reveals the meaning of his secret apocalypse, their world is turned upside down. They journey to Jerusalem where a zealot revolt has broken out, and threatens to bring the Roman war machine down upon them all. Will the Christians get out in time? The four horsemen are loosed. The Trumpets are sounding. The Seals are breaking. The bowls are being poured out. The Abyss is opened. The locusts of hell are unleashed. A.D. 70. Roman general Titus besieges Jerusalem with his armies. The demons are released from the Abyss. The gods of the nations prepare for battle. The long-awaited climax is here: Armageddon. So many Christians teach outrageous speculation about Bible prophecy. It’s frustrating for serious Bible students. What if you found out most of it is simply mistaken? That the biblical authors were using Old Testament imagery, not a crystal ball gaze into our modern future? What if you found out that everything that modern prophecy pundits are looking for – the Rapture, the Tribulation, the Antichrist, The Beast – was not what they told you it was, but something different? What Role does Israel Play in Bible Prophecy? Israel: the Chosen People, a holy nation of priests, the children of Abraham. They were God’s own elect in the Old Testament. But why were they so special to God? God made a five-fold promise to Abraham that he would 1) be the father of many nations, that 2) God’s covenant was everlasting, as well as 3) the promise of the Land, 4) under the condition of obedience 5) marked by circumcision. But with the advent of the New Covenant, what role does Israel now play in God’s plan? Isn’t God’s calling irrevocable? In this penetrating booklet, Brian Godawa examines how the promise of God to Abraham was fulfilled in the New Testament through the faithful Israelite, Jesus the Messiah, and how that changes everything. 100 pages of research. These are Brian Godawa’s research notes for his controversial book End Times Bible Prophecy: It’s Not What They Told You. Godawa printed out each Bible verse of Matthew 24 and then copied down all the Biblical and historical sources that fulfilled each verse. There are so many proofs of fulfillment, it will blow your mind and make you wonder why anyone would think the Olivet Discourse has not yet been fulfilled. Best-selling Christian author Brian Godawa examines Psalm 82 to reveal its fascinating storyline of the Sons of God who surround God’s throne. They are given the Gentile nations, but they rule unjustly, and are judged by Messiah, who strips them of immortality and takes back the earth. First, Godawa examines the amazing Biblical truth that God has a myriad of divine beings that surround his throne, counsel with God, and carry out his decisions. But then God gives the Gentile nations over to be ruled by some of these divine beings, who are also called Watchers over the nations. The Watchers rule unjustly and become false gods to the Gentiles. As a result God promises to punish them by taking away their immortality, and killing them in fiery judgment. And all of this will be accomplished through Messiah, who will come and take back the nations from the Watchers. His resurrection and ascension enables him to bring back the Gentiles into the kingdom of God where they belong as believers in Jesus Christ. The “wall of separation” is a metaphor deeply embedded in the American consciousness, and an idea that continues to cause deep controversy within the country. 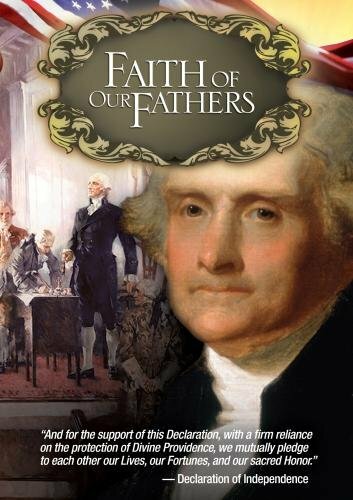 In this historical exploration, author Brian Godawa brings clarity to the debate by looking at what the Founding Fathers intended when they framed the Constitution and wrote the First Amendment Religious Clauses. Were they trying to create a Christian nation or a secular paradise? Godawa takes a look at how that understanding of church and state relations has changed through history by means of Supreme Court decisions and cultural pressures. From Everson vs. Board of Education to the most recent decisions over Ten Commandments displays, such interpretations are explored in comparison with the Founder’s original intent. This raises the question: Should government be secular, or should religion have influence on the State? 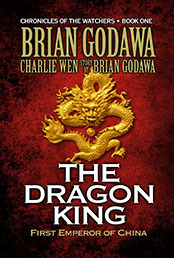 Brian Godawa, best-selling author of ancient historical fantasy, teams up with Charlie Wen, the past visual director of Marvel Studios, to tell an action-adventure romance rooted in the ancient history and spiritual reality of China. Brian Godawa, Hollywood screenwriter and best-selling novelist, explores the nature of imagination in the Bible. He explains how God subverts pagan religions by appropriating their imagery and creativity, and redeeming them within a Biblical worldview. Chaos, the sea dragon Leviathan and the Storm God are some of the images examined within their Biblical context to draw out the spiritual meaning. Improve your imagination in glorifying God and defending the faith. 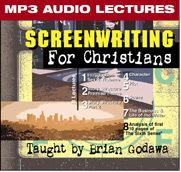 In this thoroughly revised and updated edition of his popular book, Brian Godawa guides you through the place of redemption in film, the tricks screenwriters use to communicate their messages, and the mental and spiritual discipline required for watching movies. Hollywood Worldviews helps you enter a dialogue with Hollywood that leads to a happier ending, one that keeps you aware of your culture and awake to your faith. Weaving historical insight, pop culture and personal narrative throughout, Godawa reveals the importance God places on imagination and creativity in the Scriptures, and provides a biblical foundation for Christians to pursue image, beauty, wonder and mystery in their faith. This Is Not Your Sunday School Noah’s Ark. The beloved story of Noah re-imagined for a new generation. This is the tale of an ancient world submerged in darkness. Fallen angels breed giants and demigods that enslave mankind. Noah, a tribal leader, has been prophesied to bring an end to the rule of these “gods” and save humanity from coming destruction. But Noah is a broken hero, a defeated warrior, short on faith and long on remorse as his wife and son are captives of these dark forces. To rise against this supernatural evil and rescue his family he will need his faith restored in humanity and the backing of an equally supernatural army. Before Noah, there was Enoch. Holy Man. Wise Sage. Giant Killer. “Enoch walked with God, and he was not, for God took him.” That’s all the ancient manuscript of Genesis tells us about this enigmatic holy man of the primeval generation. Another ancient Book of Enoch tells us that he pronounced judgment on the fallen Watchers and their progeny, the Nephilim giants of Genesis chapter 6. What if that holy calling meant that Enoch was a giant killer? 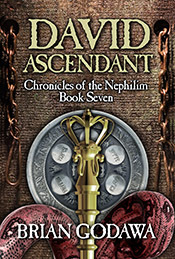 This second novel in the series The Chronicles of the Nephilim is a prequel to Noah Primeval that tells the story of the Fall of the Watchers and the rise of the Nephilim many generations before the Flood. You’ll meet some of the beloved characters from Noah Primeval when they were much younger, including Methuselah and Uriel, as well as the origin stories of the lead Watcher gods, Anu and Inanna. An appendix provides some of the Biblical and ancient Near Eastern research behind the mythopoeia in the novel. The famous story of the great king who sought eternal life after the Flood. 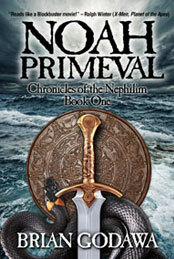 In the primal age after the Great Flood, the sons of Noah fill the earth. But God has given man over to his wickedness. 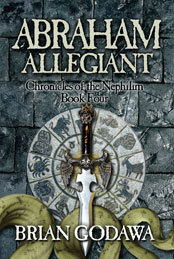 One giant warrior king named Gilgamesh sets out on an epic journey to seek eternal life in a world filled with death. Accompanied by his only friend, the wild-man Enkidu, his quest takes them from a giant’s forest, to the mountain of the gods, to the Path of the Sun in the Underworld, and ultimately to a distant magical island to find the one man granted divine favor during the flood: Noah. And the secret Gilgamesh discovers will change history forever. 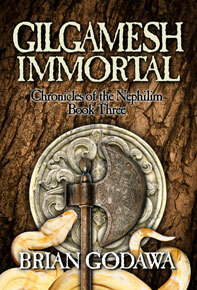 Gilgamesh Immortal is an adaptation of the oldest written hero story in history. And yet it is timeless in its universal themes of friendship, courage, purpose, the pursuit of immortality and the meaning of life. 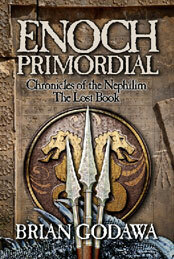 Chronicles of the Nephilim is a Biblical Fantasy Saga of ancient history and Biblical imagination. The forefather and patriarch you thought you knew. After the Great Flood, the giant king Nimrod builds the Tower of Babel and unites the world in rebellion against the Creator. He seeks to achieve godhood as world potentate and bring in the pantheon of gods to rule with him. But God has other plans. He causes the confusion of languages and disperses Nimrod’s kingdom to the four corners of the earth, allotting the nations under the authority of pagan deities. He then chooses a simple nomad Abram as next in the line of the seed of Promise. But Nimrod is not dead. He sets out on a course of revenge to find Abram and kill him in order to thwart God’s plan of creating a people for his own inheritance. 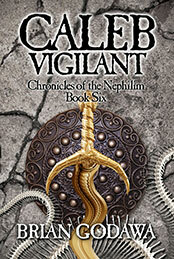 As Nimrod’s quest drives him deeper into madness, the stakes rise. The land which Abram is being given is Canaan, where the goddess Ashtart is carrying out her own plans of breeding the seed of the Serpent. The War of the Seed is rising. It Takes a Man of Giant Faith to Face the Giants of Canaan. After four hundred years of slavery in Egypt, Israel has escaped into the desert and are prepared to enter the land of Canaan that God had promised them. There’s only one problem: It’s crawling with giants. 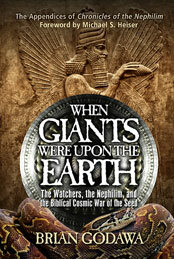 And these giants are the Seed of the Serpent, linked to the nefarious Nephilim before the Flood. Only two men, Joshua and Caleb, have the faith to face these monsters whose murderous idolatry defiles the land. But first, they must establish a bridgehead across the river to launch their invasion. But this land is the territory of King Og of Bashan, the last of the mighty Rephaim giants who worship the goddess of war, Ashtart. And Ashtart has plans to annihilate Israel with an evil occultic army. 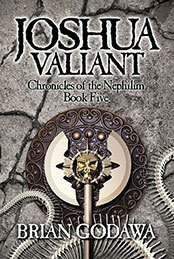 In this companion volume to Joshua Valiant, the story of the conquest of the Promised Land of Canaan continues. Moses has died, the Israelites stand poised to invade Canaan. Their first target: The impenetrable mighty walls of Jericho. But God has been preparing a pagan harlot named Rahab to help Israel. They soon discover through prophecy that she is a crucial link to God’s plan of redemption for the Seed of Abraham. And she has fallen in love with an Israelite warrior whose child she bears. Unfortunately, the Anakim giants of Canaan have also discovered Rahab’s identity and have sent assassins to take her out. Now Joshua and Caleb must protect Rahab at the same time as they assault the Anakim stronghold and face the tallest, most ruthless of all giants: The brothers Ahiman, Sheshai and Talmai. Worse yet, the patron deity of the Anakim is the storm god Ba’al. They’re going to need the archangels help or they haven’t got a chance. Six Giant Assassins. One Target: King David. Goliath Was Only the First. Everyone knows the story of David. Or so you think. No one has heard it told this way before. In the days of Samuel the Seer, the Philistines are at the climax of a long war with Israel over the land of Canaan. There are still giants in Philistia left from Joshua’s search and destroy mission of holy war generations earlier. Their numbers have grown. The young Philistine giant warrior Goliath steals the sacred ark of the covenant from Israel. But Yahweh’s curse upon Goliath’s people for that deed sets in motion an obsession of revenge and the creation of an elite warrior gang of giants, The Sons of Rapha, whose sole ambition is to kill the promised messiah king of Israel. The only problem is, Israel’s King Saul is not that chosen one, because he is possessed by the evil spirit of an ancient malevolent ruler who seeks to kill that same unknown and spiritually anointed king. They both discover it is David, son of Jesse, a young insignificant shepherd musician who woos the girls, and who miraculously slays Goliath in a battle contest. But now David is running for his life from both family and foe, gathering outlaws as allies, and eventually hiding in the one place no one would ever dream of: Goliath’s home town, the Philistine city of Gath. With David in the Serpent’s lair, the queen of Gath trying to seduce him, King Saul and the Philistine giants trying to assassinate him, and David’s three wives all vying for his attention, this gritty romantic action adventure story will take you places in the Bible you’ve never seen before. You think you know how it ends. But there is so much more to the story than you ever realized. It starts with the temptation in the desert by Satan and ends with Christ’s descent into Hades, his resurrection and his ascension. In between, we see Jesus’ ministry in the context of the Biblical motif of Christ taking back the inheritance of the nations from the rebellious Sons of God. The demons that rose up in that day were not random but were evil spirits with a purpose, part of a comprehensive battle strategy between Christ and the Powers. When it comes to spiritual warfare, Jesus was no pacifist. Jesus Triumphant explains why most people misunderstood the deliverer to be a worldly warrior king instead of the suffering Servant he was. He was a warrior, but it was a war they could not see with mortal eyes. In Jesus Triumphant, we now see it. This book has the special bonus of a previously unpublished chapter on the Book of Enoch, as well as newly expanded chapters. But it also contains the appendices of the last two Chronicles, David Ascendant and Jesus Triumphant before their release! 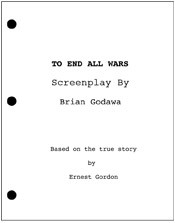 Read the production script for the award-winning movie To End All Wars. There was material cut out of the film that was in the original script. See how things change from script to screen, and read more character detail than was in the movie! A true story about Allied P.O.W.s who endure harsh treatment at the hands of their Japanese captors during World War II while they are forced to build a railroad through the Burmese jungle. 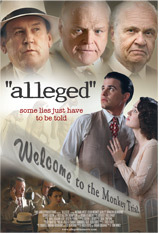 Alleged is a romantic drama based on events using both historical and fictional elements occuring behind the scenes and outside the courtroom of the famous Scopes “Monkey Trial” of 1925. Peretti’s supernatural thriller tells the story of a mysterious stranger (Edward Furlong) and his three associates, who arrive in a small town and perform miracles on those who would follow. Who is this charismatic drifter the townspeople have chosen to follow? Is he the true messiah, a false prophet or something far more sinister? Adam Christing hosts this hilarious mockumentary following a group of six average Americans pursuing the American dream: Get Rich Quick! And they’re going to do it through multi-level marketing. Super Success guru, Simon Martinez and his wife, Melinda (played by Hollywood stars Tony Plana and Ada Maris) are coming to town with their marketing strategy of how to make money, hosted at the big convention called Successpo! Diversity in higher education has been defined in terms of race, gender and class. Critics say this has resulted in a new tyranny of anti-Western prejudice. 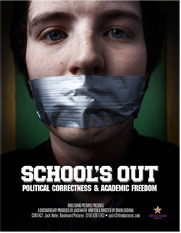 They claim education has turned into indoctrination of political ideology that undermines the university’s goal of intellectual diversity and freedom. Supporters say this is a triumph over white European patriarchy that has unfairly dominated and distorted education with a Western prejudice. They reveal an underlying systemic structure of oppression against minorities in traditional definitions of “knowledge.” Who is right? Who is wrong? Where does the truth lie?